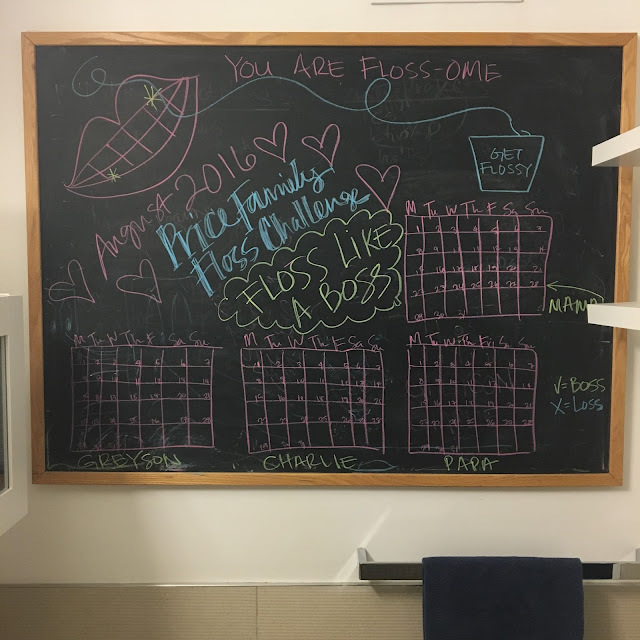 On a lark, after my husband's last dental visit, I came up with a one-month flossing challenge and drew a calendar for each family member on a chalkboard in our bathroom. The idea (myth?) that it takes a month to develop a habit is where the contest idea was born. 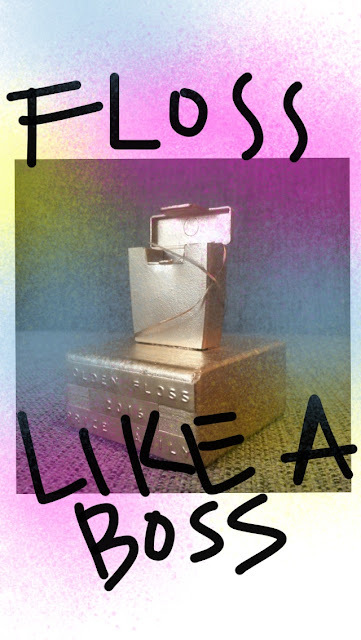 Even if it got us flossing a little bit more, it would be worth it. Literally the day after we started the challenge, I saw an article in The New York Times saying studies have shown that flossing isn't proven to "help prevent cavities or severe periodontal disease." Dentists including mine and my husband's said that the study results were distorted by the media and that flossing absolutely helps improve gum health, which has a cascading effect on our health, in general. We decided to ignore the report and go on with our challenge. 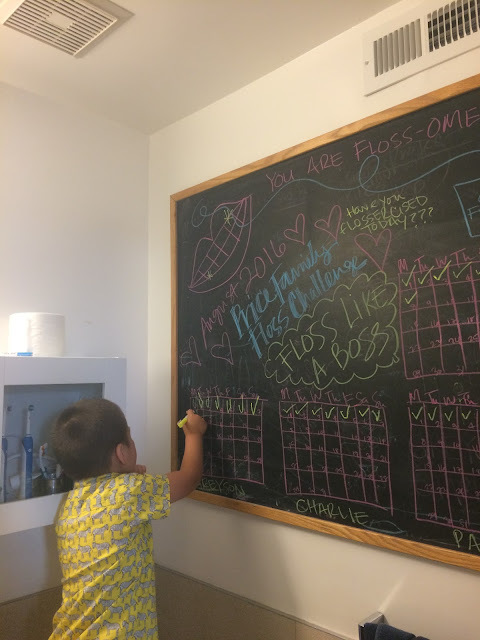 To my surprise, the challenge made flossing fun. 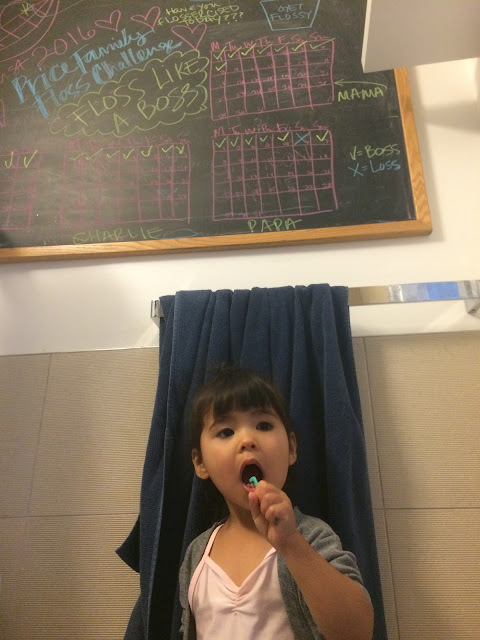 My kids loved putting their check marks on the board and we all reminded each other to floss. 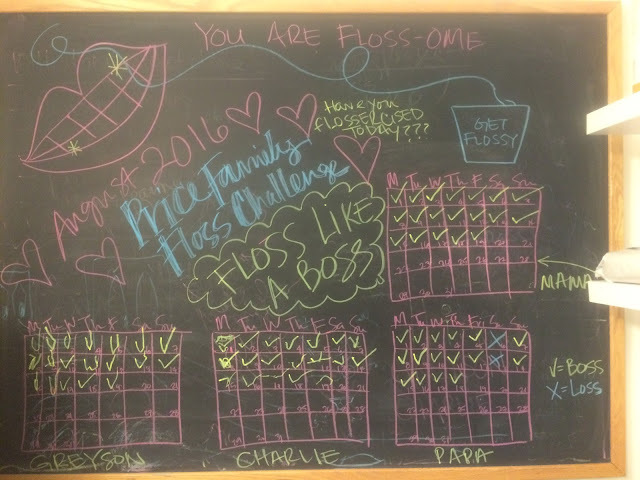 A few weeks into the challenge, we were all flossing machines! 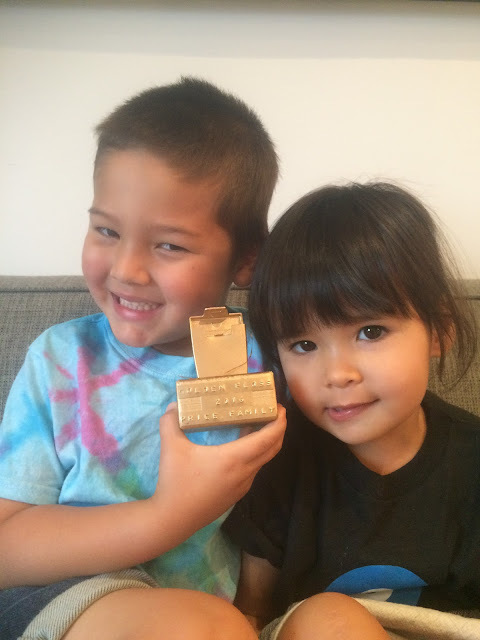 The kids and I flossed every day and Rob only missed three days in the end. It was sort of amazing. We went from floss failures to floss bosses in just a few weeks. It's September 5th, so it's been five days since we stopped the challenge and we're all still flossing. Will it stick? We shall see! 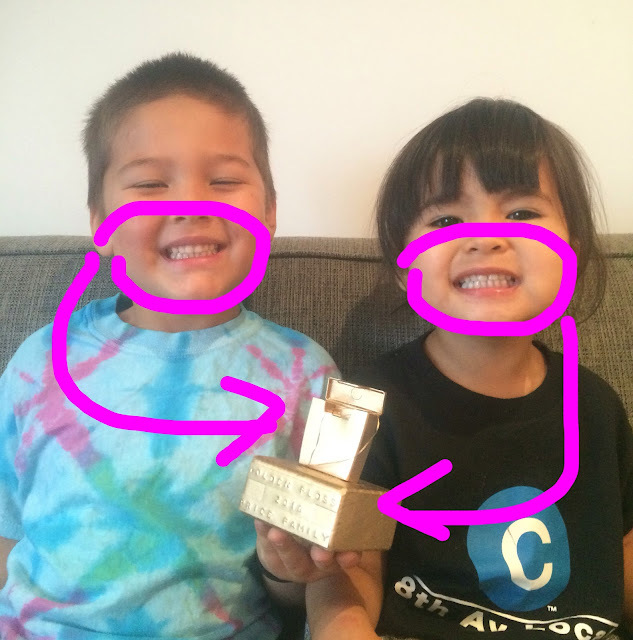 In the meantime, my kids are proud of their floss container glued onto a block...I mean their Golden Floss Award. Who knew we just needed to nerd out like this to get our floss on? I think that your floss challenge is fantastic! It encourages each member of the family to take responsibility for their own personal health, not only regarding dental care, but concerning general health issues as well. Your challenge could easily be used encourage regular exercise and proper diet. Great job! Recently, a report released by the Associated Press indicated that the clinical evidence is not definitive in demonstrating that flossing does improve oral health. 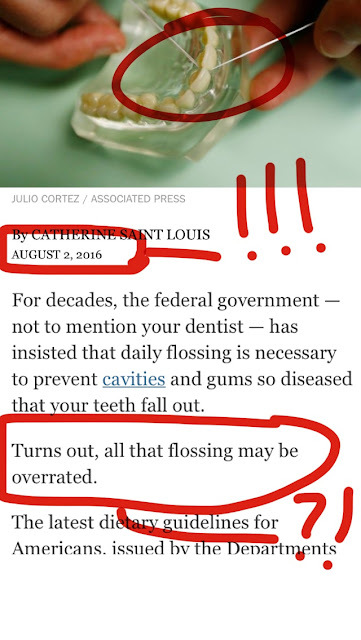 Additionally, flossing has been removed from the most recent U.S. government dietary guidelines. Since that report was released, many of patients brought up the issue. I tell them what I told my own family and friends. 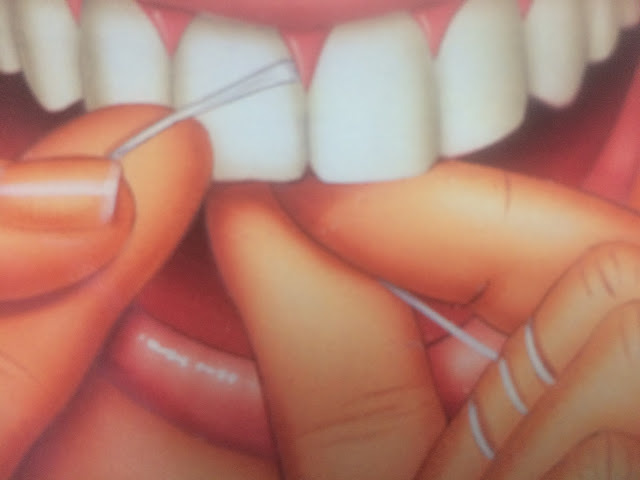 After more than thirty years of practice, I can definitely tell you that proper flossing, as part of a complete dental maintenance program, including correct brushing,regular dental check-ups and proper diet, does improve gum health in many patients. In those patients that I've treated for many years, I've also seen a reduction in cavities between the teeth. These improvements, in my experience, have ranged from moderate to dramatic. Flossing, however, does not exist in a vacuum. Many factors will affect dental health, including, but not limited to diet, and general medical health. For example, for patients with a propensity to develop gum issues, flossing alone may not be enough. These patients sometimes require additional procedures. Therefore, the fact that there are conflicting studies regarding the effectiveness of flossing does not mean that we should all stop flossing.